Garden art that you can swim in? Pure bliss. 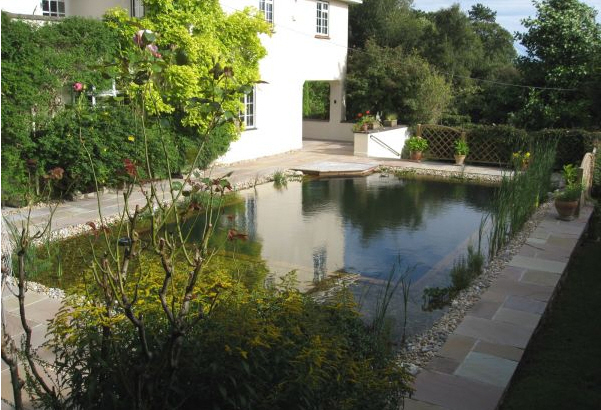 The swimming pools above are new builds and retro fits – designed and constructed by Clear Water Revival in the UK. 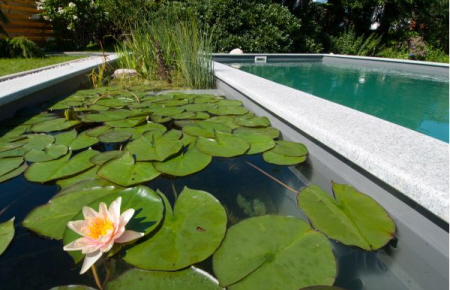 Clear Water Revival are specialists in converting swimming pools into wetlands. Wetlands are amazing systems – they can filter heavily polluted water and make it clean. Importantly for swimming pools they can also kill bacteria. 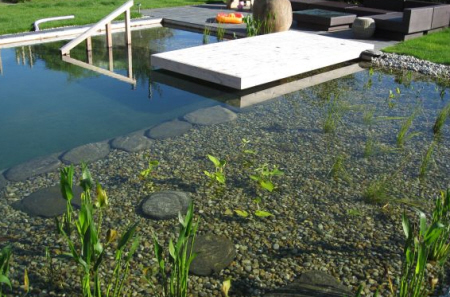 It makes a lot of sense to design a swimming pool that can provide habitat as well as provide a swimming environment that has no chemicals or salt. Wetlands have become a standard water treatment system on many large-scale building and infrastructure projects where stormwater run-off needs to be treated on site before it is allowed back into the river systems (and eventually out to sea). Typically these systems have had a ‘natural’ appearance. But there is nothing stopping the design having a very formal appearance. The design possibilities are endless. Clear Water Revival’s website is a great website for design inspiration – take a look http://www.clear-water-revival.com/#/home. Next articleRachel Carter’s garden art. Weaving willow and mild steel.